And here we go! 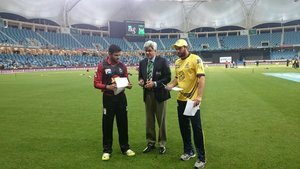 #PeshawarZalmi win the toss and elect to field against Lahore Qalandars. #PhirHogaZalmiKaWaar ! #LahoreQalandars dont have any hashtag so #PhirHogaZalmiKaWaar ???? #PeshawarZalmi won the toss and elected to field. Cmon #Zalmi .. Lahore pe zulm ker do ???? 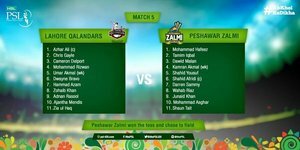 Who will win the Match #PSLT20 #PeshawarZalmi #IslamabadUnited #LahoreQalandars I don't give a ****! Lost ? Not At All, We having our Hopes High.